George is sometimes nicknamed “Cold and Wet” in reference to its number plate (CAW) and its weather conditions, but that couldn’t be further from the truth when I meandered my way along the Garden Route in May and stopped over at Outeniqua Travel Lodge for the night. It was a glorious sunshiny day, even though this time of year is unpredictable. The stunning Outeniqua Mountain Range towers as the backdrop of the lodge, which is a very homely house situated in the suburbs of George. 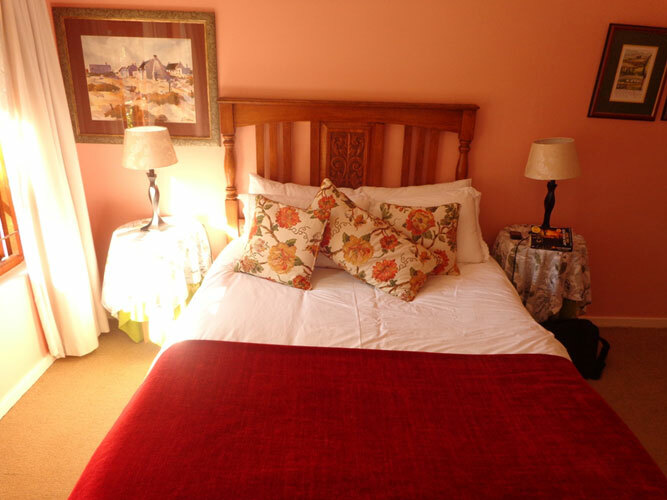 A friendly Jack Russell and the owner and manager, Sue, are the first to offer a welcome to this self-catering lodge in George. It is warm and inviting, creating a feeling of visiting a relative. The walls are bedecked with old photographs of the area, providing a fascinating insight into its history and hours of gazing for those that take an interest in such memories that have been frozen in time. 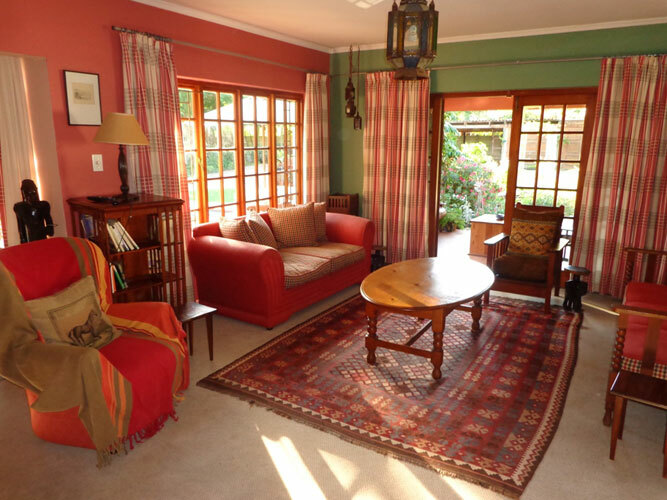 The lodge is decorated with plenty of rich woods as well as warm greens and reds for a cosy, comfortable look and feel. My room was spacious and comfortable with plenty of cupboard room. There was an en-suite bathroom with a shower. The house’s kitchen and lounge is freely available to guests and are both spotless. There is a central coffee station at which to get your morning cuppa (at any time of the day). The television is in the lounge (not in the rooms), which makes it social, but not a private affair. The garden is clearly a passion for the owners. It is colourful and lush, with impressive clivias, succulents and roses scattered just about everywhere. The beautiful roses have made their way indoors too, with spectacular displays all around the lodge. There is free Wi-Fi throughout the lodge, making it the ideal getaway for other business travellers like me, as well as families that want to keep in touch with relatives abroad. There is a computer for guests to use as well. Guests are able to order in or prepare their own meals in the kitchen, but there are a few restaurants within the lodge’s immediate vicinity. Just ask Sue and she will recommend an appropriate spot, even able to show guests some of the menus from the surrounding restaurants. This makes it a convenient, accessible spot. Outeniqua Travel Lodge offers guests with vehicles secure parking at the back of the property, which includes some undercover bays. To make a booking please see Outeniqua Travel Lodge.